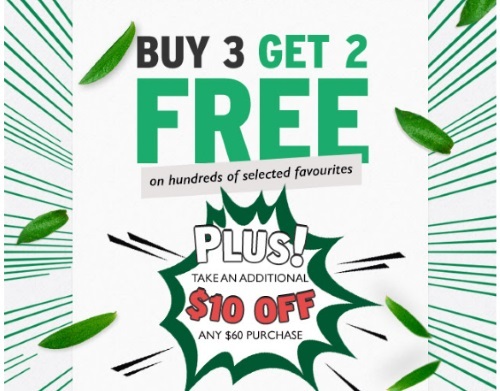 The Body Shop is offering buy 3 get 2 Free on hundreds of selected favourites, plus take an additional $10 off any $60 purchase! Enter the promo code TAKETEN to get the discount. Offer ends Tuesday, August 30, 2016.